Veeeery yummy! Okay, there is a lot of fruit so no wonder. But I did also add A LOT of kale. Wasn’t quite sure what broccoli sprouts are (?) so will have to try that another time. Lately I’ve ended up adding a little squeeze of lime in almost everything. It’s just so good and works very well with the mint! 1. Broccoli sprouts are powerful anti-cancer foods, due to their high concentration if I-3-C.
2. Mint can activate the salivary glands, which will help to aid in digestions. in place of ice cream for a quick, frozen treat! 4. Coconut oil can be used as a swish to fight bacteria in the mouth. 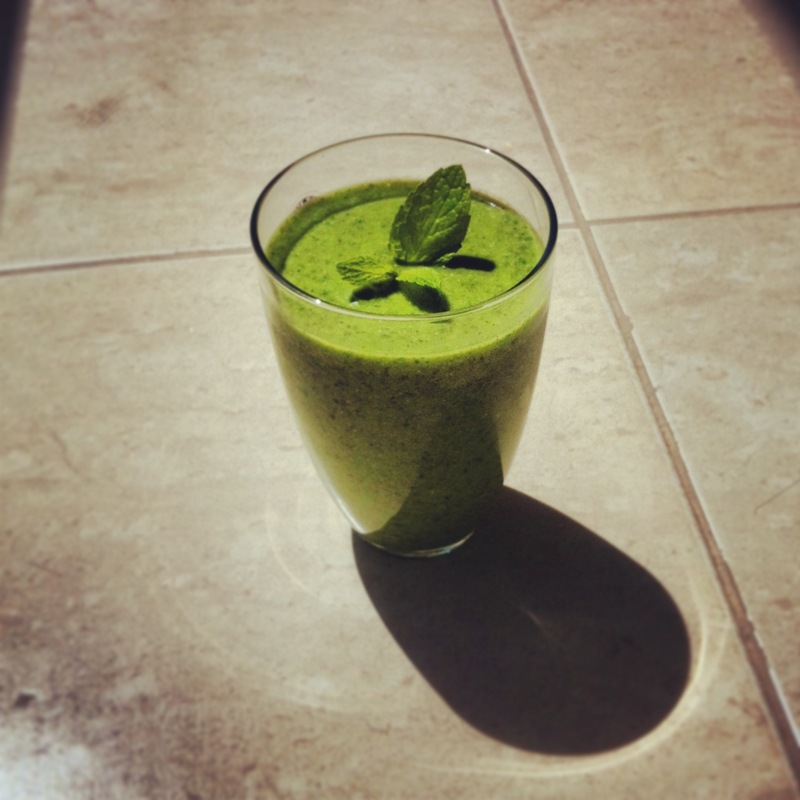 Tags: 30daygreensmoothiechallenge, green smoothie, healthy smoothie recipe, youngandraw. Bookmark the permalink.